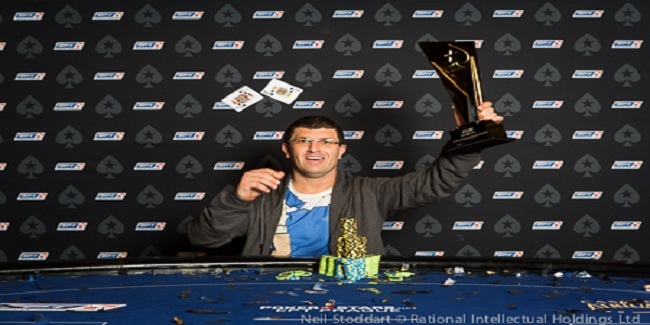 Leon Tsoukernik of Czech Republic has won €48,500 + €1500 buy-in High Roller at EPT13 Prague. The event took place from and received 49 (39 unique players; 10 re-entries). 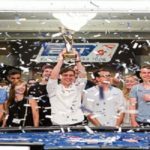 Winner Leon Tsoukernik received an amount of €741,100 as first prize and also took home the trophy of the championship. 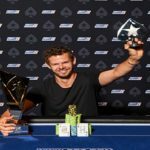 Total prize pool for this particular high roller event was €2,352,735, which was distributed among 7 finalists and others. A professional poker player of United Kingdom Charlie Carrel couldn’t do well than becoming runner-up of this event. He collected an amount of €535,250 as winning total. Tsoukernik, a 43-year-old art dealer turned casino owner was dominating the game since it was started. He never let others to cross over him and ultimately became the title winner. The first player got busted from the final table on final day of this High Roller was an American pro Anthony Zinno. he busted to seventh place for a total €123,520. Germany’s Julian Thomas was at sixth position and earned an amount of €152,915 before leaving the field for others. Next man gone was UK’s Paul Newey, who had a handful of €200,000 as winning total for fifth place, while Russian Viacheslav Buldygin becomes fourth for his total €258,800. Three handed game included players from Finland, United Kingdom and of Czech Republic and they were Juha Helppi, Charlie Carrel and Leon Tsoukernik. After playing many positive hands Finland’s Juha Helppi hit the rail and busted to third position for a total winning share of amount €341,150. And that means the heads up of this event was among top two players such as Leon Tsoukernik and Charlie Carrel. Take a look at real poker online for latest European poker news.